The first time you read about duplicate content, your heart sank. 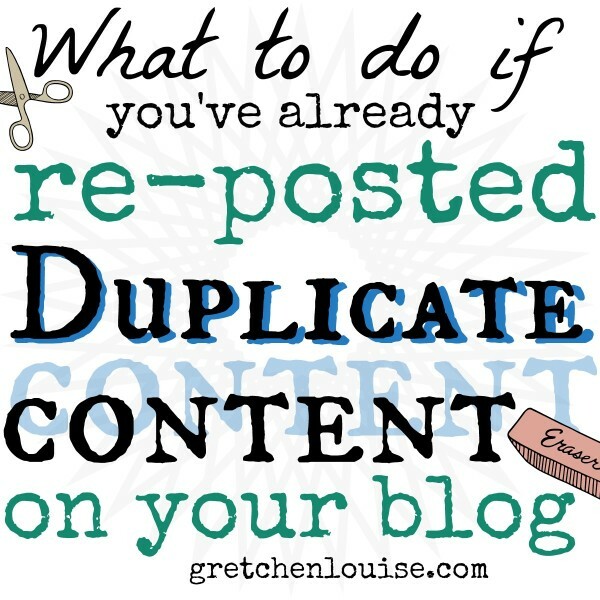 You’ve been duplicating your own posts on your own blog for years. What can you do now? I’ve been there. My ministry blog was in that boat. We had an annual feature dedicated to re-posting the best of our archives! And that required a lot of clean up. Here’s a run-down of your options if you’ve already re-posted duplicate content on your blog–or somewhere else. 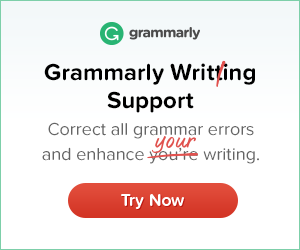 Merge: You can completely merge the content so it does not appear more than one place. It’s a cumbersome process to merge comments and redirect posts, but once done, it’s done–and you’ll know not to re-post again. Canonical Meta Tag: You can leave both posts published, but point the duplicate to the original using a canonical meta tag. Link, Delete, or Mark Private: At the very least, make sure the old and new posts both link to each other so they look less like scraped content to search engines. You can delete one post if it doesn’t have any comments. Or, you can simply mark the post with the least comments as private so only you can see it. Merging posts is probably the most complete solution, but also often the most complicated. Don’t break either of the links. Don’t lose either set of comments. Decide which post you will keep and which post you will delete. If the comment/share count is similar, you can keep the original post. If there are significantly more comments on the new post, it will be easier to keep it and move the comments from the old to the new. If there are significantly more likes/shares on the new post, you might want to keep it for that sake. Delete the post without comments. Use .htaccess 301 redirect or a plugin like Redirection to redirect the URL of the post you deleted to the post with comments. Trying to find all the duplicate posts within your WordPress blog? Check out the Find Duplicates plugin. Asking search engines not to look at a duplicate post is one way to lessen potential duplicate content issues. Be sure to disallow indexing of only one post, not both posts! WordPress SEO by Yoast allows you to edit your robots.txt file under SEO, Files. Or use WP Robots Txt to edit your robots.txt file under the Settings, Reading. Or request removal of a post via Google Webmaster Tools. Consider editing the re-post to include only a brief quote or summary of the original post. Be sure to link to the new post from the old post and vice versa. You can simply make the post with the least comments private, so you still have the comments but the post is not duplicated. In Blogger, if one of the posts does not have comments, you can delete it and use the custom redirects option in the settings to redirect it to the post with comments. Blogger also allows you to use robots.txt to noindex, nofollow specific posts (see #3). What methods have you used to deal with duplicate posts? I have done this way too much! YIKES! So glad my hubby decided to do a search as I was trying to figure out how to revive more of my “best” posts. Your posts have been so helpful. Thank you. Each year I host two 40 day link-up challenges and for the past 2 years I have been struggling to meet my own goals so more than once I have re-posted my best from the first year I did this link-up. UGH! Now, I know that it would have been far better for me to link-up to an old post. Anyway, beginning this process with step one…broken links posts. I wondered if you had any thoughts on using the broken link checker archived link suggestion for updating broken links? I’ve searched and searched to find out if this is a good idea or not. Unfortunately, it is a problem. Especially with Google’s latest developments, they are really penalizing people for duplicate content. In the future, I would recommend choosing which blog you’d rather have the post on. Perhaps keeping your personal blog just for the more personal things, where you’ll obviously mention farming but you won’t put the farm-related blog posts. And with your link to the farm blog, your friends can go to your farm blog to read more about your farming. For the past content, it’s a long winter project. 🙂 But ideally, you’d go through post by post and make sure it’s on only one blog, not both blogs. For the About Us page, I’d re-write one of them to take a totally different angle. Obviously, bios are something that are usually duplicated across sites. But for a full About page I’d approach it differently so it’s not duplicated too closely. You can, of course, duplicate pictures all you want. But text should be quite different rather than just barely tweaked. Okay. I write book reviews on my website…… and then I post them to retail sites like Amazon, B&N, Goodreads, etc….. I think I already know the answer but I have to ask in desperate hope: Does this constitute duplicate posts? And if I post it on MY website first, will I still get penalized? Or can Amazon and B&N take the hit for me….. (yes, desperate). I just really really don’t want to have to write 5 different reviews for books if I don’t have to. I’m thinking if I can’t post them on my website, I’ll just post links to my Goodreads account, but that would be a bummer. Argh. Oh, that’s a great question, Becky! I hadn’t thought of book reviews. They are certainly an instance where a lot of duplicate content gets spread around. What I usually do is just place a shorter review on Amazon, etc. and then place the full review on my site. I try to change it up a bit for the other sites, but each is really only an excerpt of the complete version on my own blog. That’s the approach I’ve taken, but obviously it’s still duplication to some extent, and Amazon and B&N will win out every time when it comes to SEO. 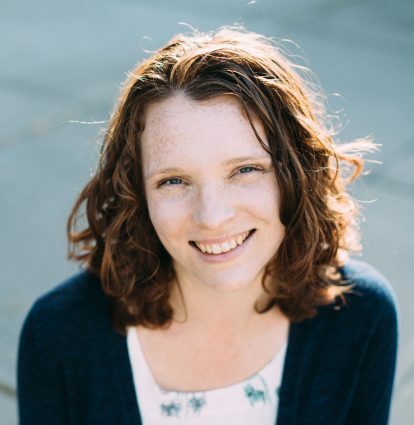 Gretchen Louise is a code rockstar! 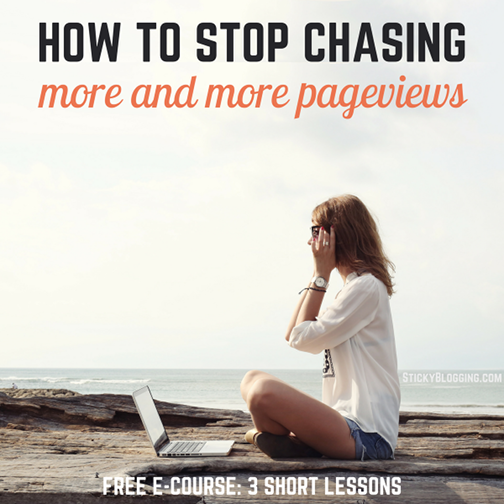 Gretchen is a well-kept secret and asset to any blogger or website owner.